What Industries need Jobsite Mobile? 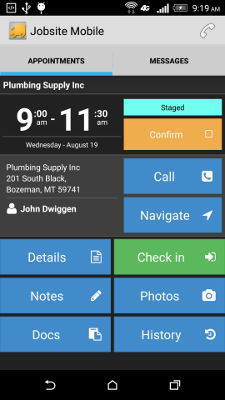 Do your Techs need a mobile app that is Easy to Use? Schedule, Dispatch & Stay Connected with your Techs in the field! Check out our options and features included. Request a Demo! Get Started Now! 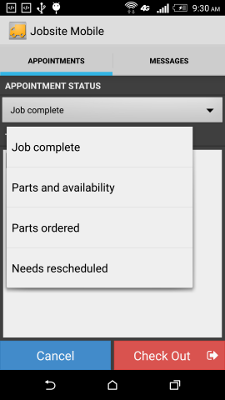 We built Jobsite Mobile to be easy for both the Office staff and Field Techs. 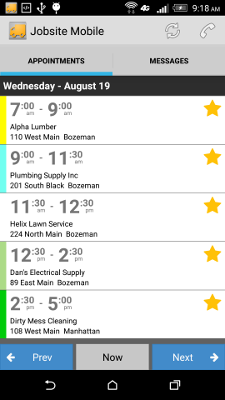 Jobsite Mobile accommodates lots of Scheduling "Styles"
It can be frustrating for companies like yours to stay in close contact with your mobile employees in the field. The developers at Jobsite Mobile want to reduce this frustration. And that is why we built a mobile app and office dashboard that work in lock step to keep the office staff and the techs in the field in sync on many levels.